Looking for the world's quickest and tastiest potato salad? We have you covered for those summer barbecues and parties, and can guarantee this will be your new go-to recipe. 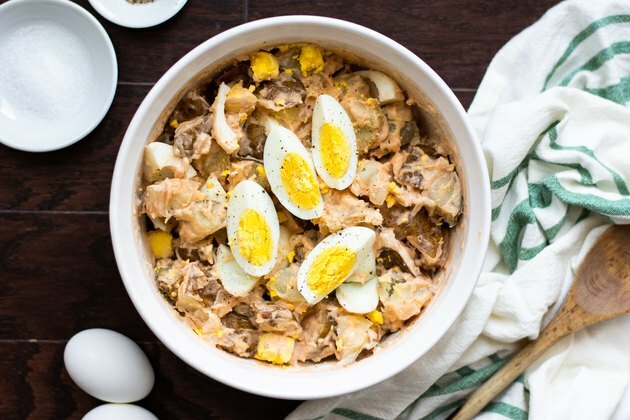 Learn how to make this Instant Pot potato salad in just 15 minutes total. 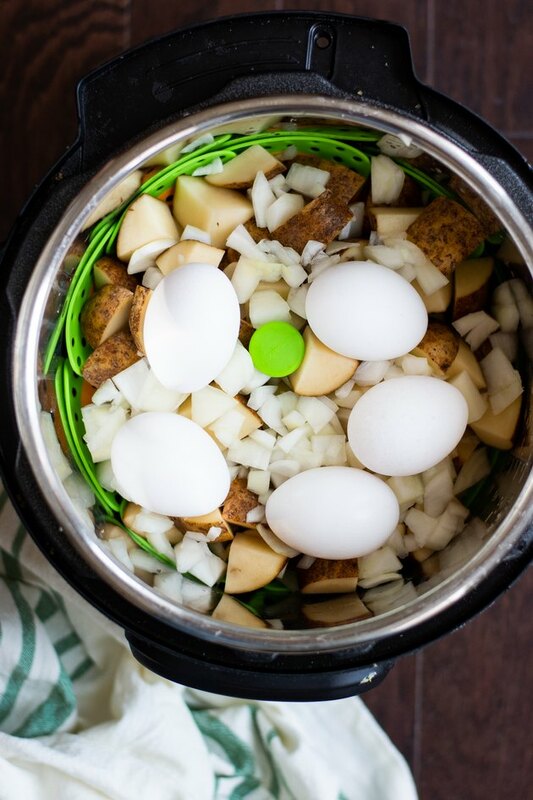 Add water to the bowl of the Instant Pot. Place steamer basket in the pot. Add in chopped potatoes and onions, then place eggs on top. Lock the lid, flip the valve to "Sealing" and cook on manual high pressure for 5 minutes. Let it natural release for 5 minutes, then flip valve to "Venting" to release remaining pressure. Place the eggs in the bowl of ice water to cool. Transfer the potatoes and onions to a large mixing bowl. Mix in mayonnaise, barbecue sauce, salt and pepper. Once hardboiled eggs cool, peel and cut them into quarters. Mix into the salad and garnish with remaining egg. Top with salt and pepper as desired and serve while warm. Serves 4-6. Enjoy! 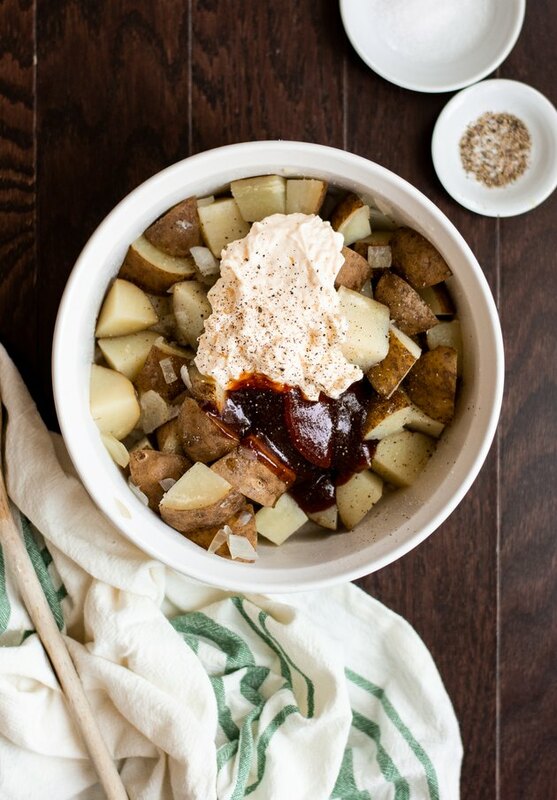 This potato salad may also be refrigerated and served cold. Keeps for 5 days.